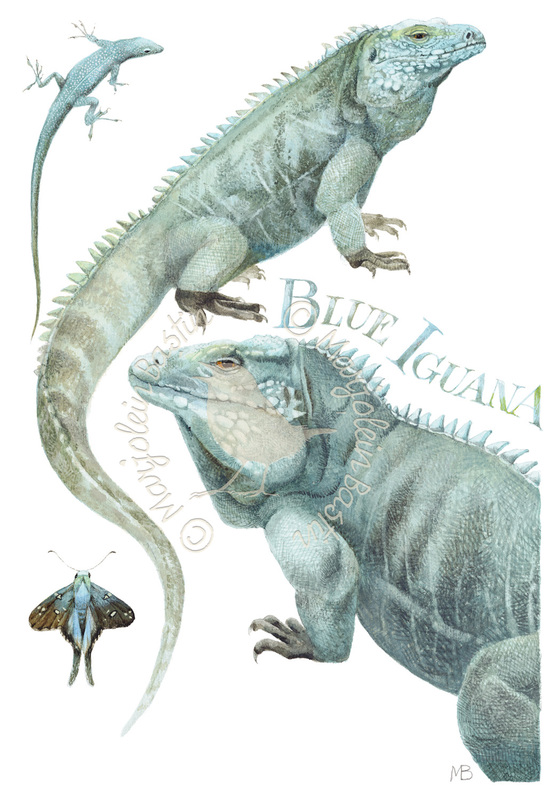 These Blue iguanas, an endemic species to the island of Grand Cayman, were almost extinct. Only a few remained. The Blue iguana easily reaches two meters in length. The small ones fell prey to imported cats and rats, the big ones were victims of cars and dogs. A group of enthusiastic scientists at the Queen Elizabeth Botanic Park started a breeding program a few years ago on the grounds of the park. And they were successful! What was once the most endangered subspecies of iguanas is now recovering healthy population. We should be happy that some people are not willing to give up! I wonder if blue is in the air here? That small blue Anole; this butterfly with some bluish suffusion of its wings, and of course the blue of the ocean.